Looking back through our series, The 50 Most Important Moments in Football History, there is one era we felt has been unfairly excluded from the list. The era is the 1930s. A decade which saw huge change across the world, how was football affected? As totalitarian regimes and new deals were promised, new superpowers arose - but did football see any significant modification? Of course, the introduction of the World Cup would spread the game globally, but how did technological advancements and social developments impact the game into the one we see today? It is important to understand the global arena football was to be played in order to fully grasp how it would adapt and evolve in the 1930s. The decade was welcomed on the back of one of the worst financial disasters in history - The Wall Street Crash. For many of us, the 2008 Credit Crunch still leaves painful memories as austerity politics dominate UK political governance still to this day. In the 1930s, it was even worse. The crash in October 1929 had led to a worldwide depression, felt heaviest in the US and nations still suffering the consequences of the First World War. In Germany for example, it was clear to see the impact. Indeed, massive war reparations had crippled the nation into decline. Furthermore, this would lead to extreme ideologies and promises being accepted by people suffering first-hand by the Wall Street Crash. Hitler's far-right rise was inspired by the success of Benito Mussolini in Italy years before and as a reaction to the far-left communism at use in the USSR. As nations began building and rebuilding their infrastructure - it was not difficult to see a rise in militant rhetoric being spouted from those in power. 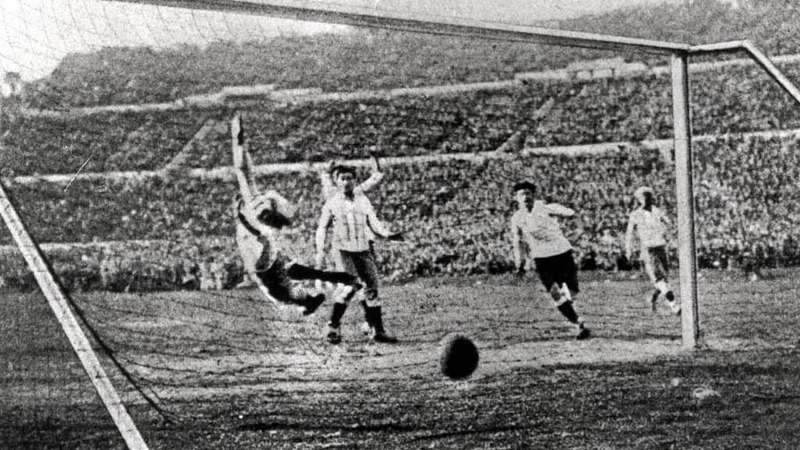 The 1930s was a decade in which the World stood on the brink of something bigger than anyone could expect - but what would happen to football? If the previous decade had told us anything, it was that football was truly the game of the people. The 1923 White Horse Final had proved football to be a phenomenon, which brought people together from all areas of society. The proposals of a World Cup and the success of consecutive Olympic tournaments had highlighted the global reach of football. 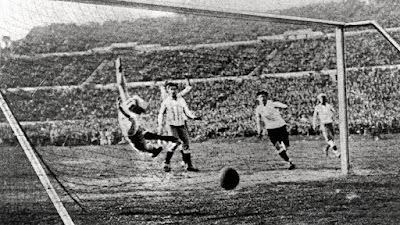 The triumphs of the Uruguayan squad in Paris (1924) and Amsterdam (1928) had introduced South American football to the European continent. The British game had a rival. The inaugural World Cup therefore, would be the perfect chance for both South American and European nations to compete to see once and for all, who was the greatest on Earth. You would expect the British nations to be competing, but British arrogance meant they stayed at home. Historian Matthew Taylor has noted the peculiar relationship between the FA and FIFA from the latter's formation in 1904. 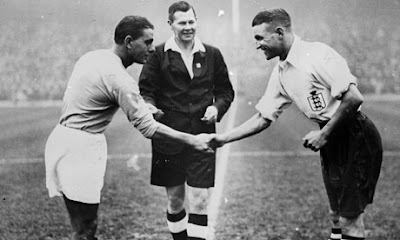 The home nations would withdraw and rejoin the establishment on multiple occasions up until 1930 and when a world tournament was announced, the FA met the proposals with a patronising stance. It was inconceivable to the English, Scottish and Welsh that these newly formed footballing nations could have the knowledge and experience to truly compete and that the Home Internationals were a far greater test to see who ruled the world game. 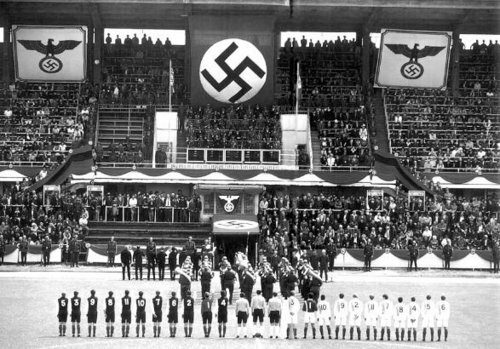 Much to the FA's misjudgment, the tournament in Uruguay, 1930 was an immense success. Uruguay won the inaugural crown after defeating neighbours Argentina 4-2 in the final. 68,000 spectators watched the match which showed football's immense power and influence around the globe. Success meant the tournament would continue every four years - starting in Italy in 1934. To this day, it remains the world's most watched and celebrated spectacle - providing us with some of sport's most memorable moments. The match itself had added significance due to the fascist totalitarian regime in Italy. Newspapers from the time were quick to stir up anti-Italian rhetoric which no doubt added to the violence in North London. Domestically, it was in North London that football was seeing its greatest innovation. Under the leadership of manager Herbert Chapman, Arsenal had become the club at the forefront of modern football. Using his tried and test WM formation, Arsenal was the club in England. This might explain why it was to be Arsenal that showed the first televised football match in 1937. 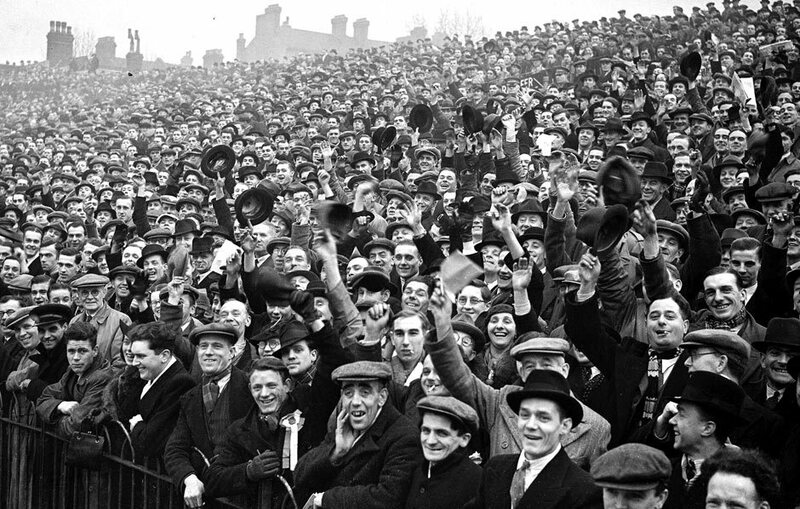 Football, as we have seen, already had a huge following. Spectator figures continued to rise and fanbases began to stretch wider than just local supporters. 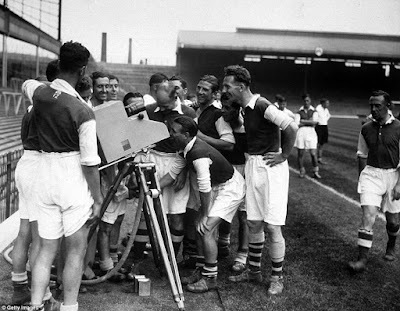 The first match to be televised was between Arsenal and Arsenal Reserves. It had been specially arranged for the occasion. Unfortunately for anyone watching - bad light affected the coverage as rain and dark clouds loomed overhead. Despite a lack of newspaper coverage - the match's importance is undoubted. Historian Richard Haynes notes how the experiment helped to enthuse the curiosity of many. The following year saw more coverage of football matches and the rest they say...is history! Despite the technological advancements with the introduction of the television, it would be almost two decades before it became commercially viable for British households. Indeed, in the 1930s it was radio that dominated the airwaves across the nation. The 'wireless' was no stranger to football either. Taylor writes that by 1939, 71% of homes had a radio installed and that "the weekly round up of football results had already become a 'national institution'" by 1939. Commentaries of matches helped disseminate the game further and reach those who couldn't attend, be it due to disability or location. Football had proved to be more than just a game. Articles can be found in the British Newspaper Archives which track the growth of football and highlight the reasons for its popularity in the 1930s. The Western Morning News wrote in 1938, that the primary reason was an increase in leisure time for working men. This would lead to a rise in the use of football pools, a form of betting increasingly popular during the decade. It found resistance however, from the church which saw the devotion to football somewhat concerning. The love for the sport and everything it offered was almost religious. Kicking off at the end of August, 1939 - the Football League came to an abrupt end just a week later as Britain declared war on Germany. Blackpool had made a perfect start to the season by winning their first three games and topping the First Division. Unlike the start of the First World War, the Emergency Powers Act would immediately suspend the league due to its ban on gatherings of large crowds. The final round of matches was played on the 2nd September, a day after the invasion of Poland and a day before the declaration of war from Prime Minister, Neville Chamberlain. Newspaper articles show us that despite the games taking place, the public was informed to be in earshot of a 'wireless' in case war was declared. 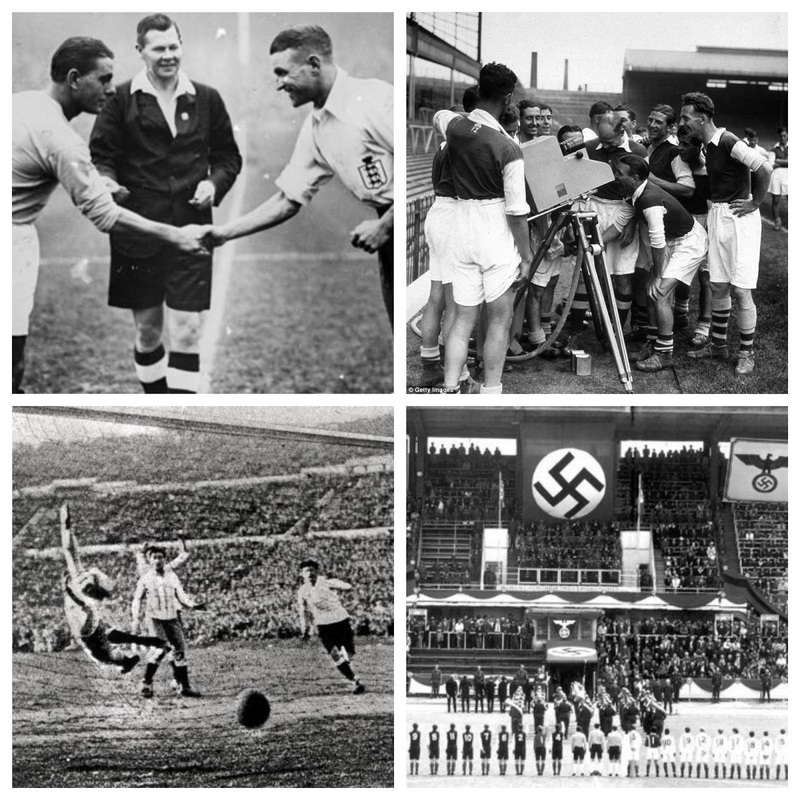 So what does the 1930s mean to football history? Indeed, it was a decade which helped cement football's place as the 'world's game'. Its dissemination across continents meant improvements were made in a number of countries, eventually leading to high quality international competition. Britain's sporting isolationism and ignorance to the rise of European and South American football would later prove to be to its embarrassment. In 1950, the first World Cup after the Second World War, England would be shocked by a team of part-time Americans. Technological advancements in radio and television set the game up for decades of 'rampant commercialism' and a rise in spectatorship meant that clubs would represent far more than just the local area. Football truly was a way of life.